Port of NESGP2X for GPH Caanoo. V 1.0 (Add: diagonals Button for NES). Great job, tetsting it now ! Not working for me just a blank screen. Works great for me, but some of the key mappings - especially the use of 'hold' seem particularly unintuitive. p.s. im playing litle samson right now!!! IT doesnt exit it needs an overhall! It work perfectly, but the only problems is, when i exit on the emulator it turn back to the caanoo's menu and suddenly the screen turns black, and the only thing you have to do is turn off the console and turn on next! It seems is not 100% stable. Awesome and thanks! My findings are that is very little choppy, can't find a way to exit without shutting off Caanoo. Loads all games i have tested. thanks again! Adams Family 2 - that crashes each time you go to start playing. Couldn't quit the emulator using the Hold button whilst playing Sunsoft's Batman, Afterburner or Alien 3. I keep having to turn the Caanoo off each time. Double Dragon 2 The Revenge runs very slow and near the bottom of the screen it looks as though there is an error or screen glitch. Arch, I found that as well. It only goes to 'M' for me. 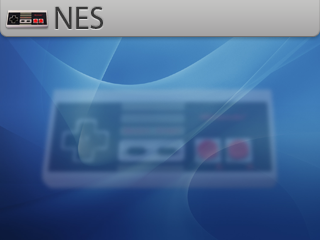 If the Home button could be used to bring up a menu to show all the facilities for the emulator (including the Exit option - instead of using the Hold button to exit) then that would make the NESGP2X much better to use. Picodrive for the Megadrive/Genesis is an excellent emulator - easy to use and no reported issues with roms. I used to have a Wiz and played NES games using the gpfce emulator. Can the nesgp2x emulator be worked in any way to match or even beat the gpfce for compatibility and performance? Can't save state on Cannoo. There is no option to save state, pressing start (or select, whichever) just brings you back to choosing a game in the folder select rather than giving menu options (like exiting without having to shut down handheld) MAJOR problem considering this is the only emulator around you can find, it makes playing a waste if you can't save state. FIXXX!!! Is it me or does contra run slow? Why is this still being download when GPFCE is WAY better?